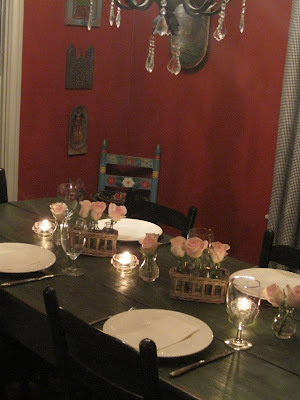 This was for dinner one night, it was simple, no fuss and pretty. All white plates and linens. 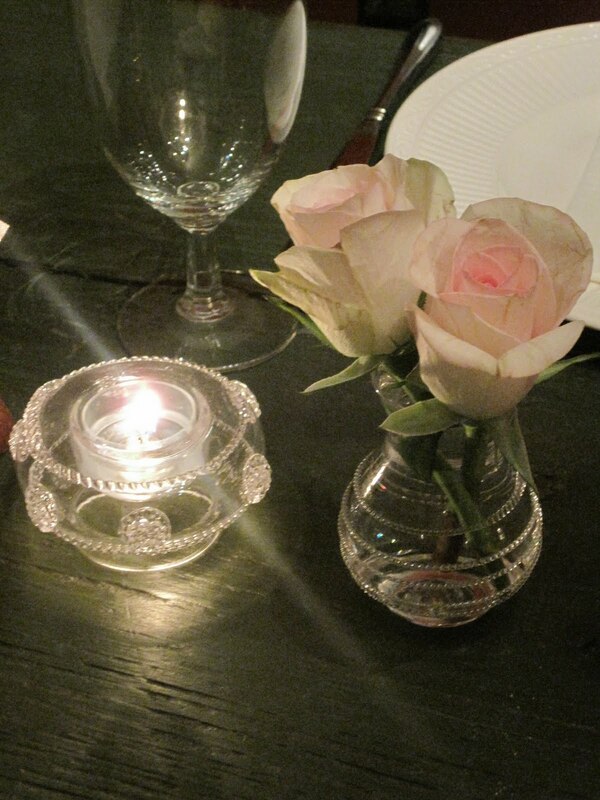 Then I used my new favorite flower containers(the little baskets with three little bottles in each) and added the pink roses and tea lights. Simple and pretty and took no time at all. A close up of the tea lights and small vases both by Juliska (which I have used many times on my blog in different settings and situations). Juliska is a European design company that mixes a classic look with modern day edge giving a stylish look to any room. Juliska glassware is mouth-blown by artisans outside of Prague, the glassware is thin (which is phenomenal, it feels great in your hands and is astonishingly nice to drink from) and being mouth-blown no two pieces are the same. Juliska ceramics, linens, lighting and flatware are also available. I've only adventured into the glassware so far, but it all looks beautiful.